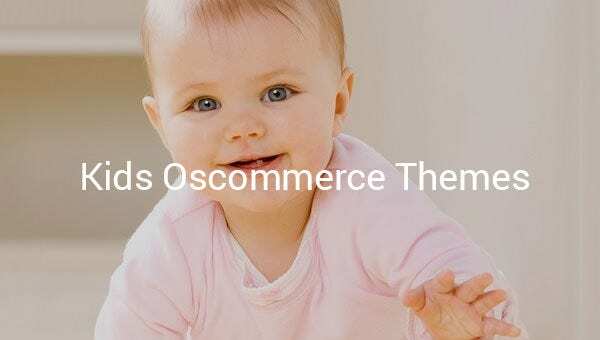 The Oscommerce templates for kids brings you the best of features that templates have to offer for showcasing the best of your assortment for kids in your online outlet. osCommerce offers premium templates developed with JQuery coding, with meticulousy documented instructions for installation and set-up. These templates are easily customizable with Adobe Photoshop CS+, osCommerce 2.3.1. 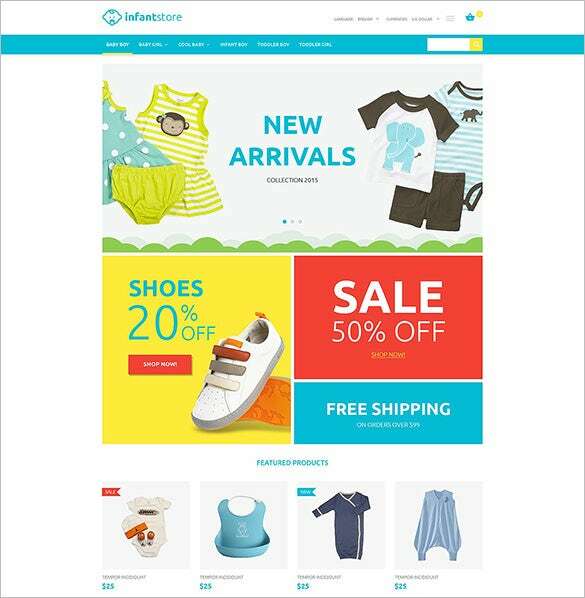 You can also see Baby Store OsCommerce Templates. Designed with the background of kids, Baby Store is a pretty design for infant and kids stores. The theme incorporates sliced PSD, supports cross-browsers, commenting box, social options favicon, and customized modules. Infant clothing is a cute design composed for infant clothing. 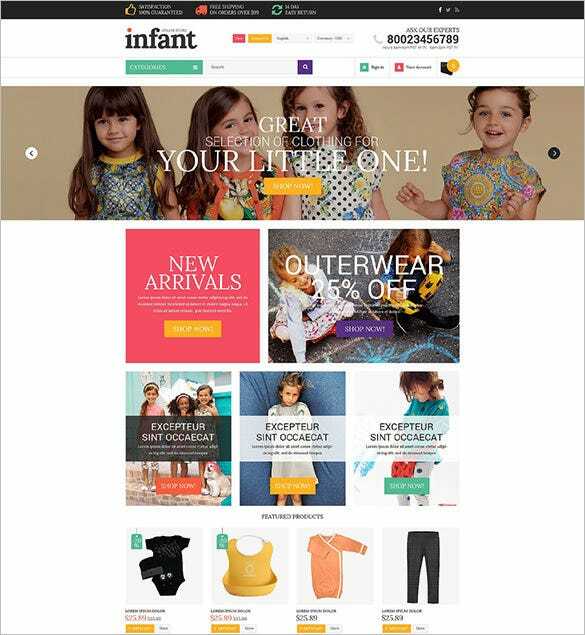 The theme includes cute sliders, big banners, featured product sections, and call to action buttons will give a different shopping experience to the customers. Sketched on a mild lilac background, with translucent bubble circles, Baby Store an ideal choice for infant stores. The theme incorporates sliders, banners, three columns for new products, shopping cart and special sections. 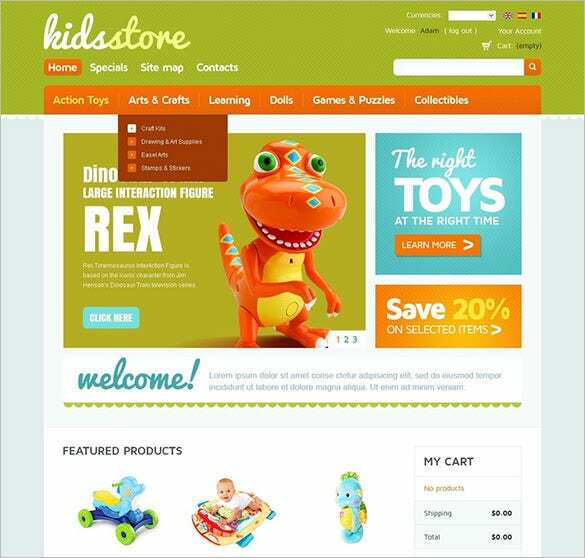 Elegant is s playful theme for children store. Beautiful color tones along with slider displays make the theme dynamic along with it features like widgets, promo banners, shopping cart option and featured products section. 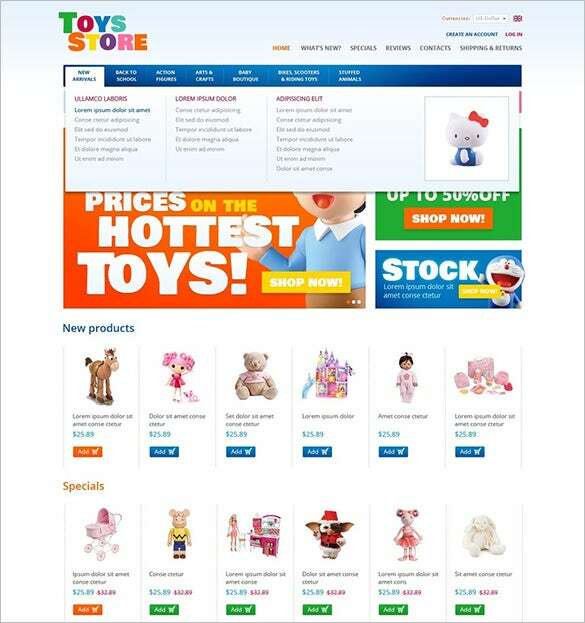 Toys for Kids is an absolute childish theme for online baby stores. The pretty image sliders and call to action button, discount banners, widgetized footer, six column structure to demonstrate new products and specials are some of the essential features of the theme. These templates are built to perfection with the social media icons, contact storage, footer with additional links all for a great overall user experience. These templates have cart pages, checkout pages, customized with a 100% open source without encryption all ready for quick download.